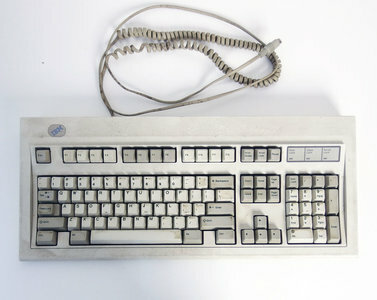 IBM 71G4644 QWERTY PS/2 PC keyboard. IBM Model M look-a-like with rubber domes instead of mechanical switches. Near identical solid build quality and durability as the Model M, but most importantly with a soft clicky feel and sound. Besides the keys are equipped with key caps that can be removed for cleaning. The keyboard is also in height adjustable. Compatible with modern pc's.